You might ask why there’s a need for a Campaign for College Opportunity? The answer is that California is on track to produce a generation of young people who are less educated than we are. Research notes that we will be 2.3 million college graduates short of meeting workforce needs by 2025 if we don’t do anything differently. 2025 may seem a long way ahead, but it’s only 12 years. As many of you in this room know, STEM fields are especially critical to our state and yet of 123 occupations in STEM, nearly half either face a shortage today or will face a shortage in the near future. 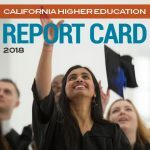 California has ranked highly in STEM employment, but not high enough in production of STEM degrees and certificates. And it’s only going to get worse. We face an increasing knowledge based economy, an aging workforce of highly educated baby boomers, and age-related health needs from this growing population of senior citizens. I’m here to share with you that public colleges and universities are key to solving this workforce crisis. 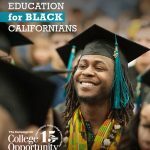 We can talk about Cal Tech, M.I.T, Stanford, UCLA and other elite universities filling the void, but the reality is that to produce the number of educated workers needed in all fields and in particular, STEM, we have to look at our community colleges and our California State Universities. Why you ask; because this is where you will find most California college students. 70% of students receiving an Associate of Arts or Bachelor of Arts do so or start at a California community college. Community Colleges are key to growing our educated workforce, but in a STEM report we commissioned in 2009 we found that non STEM degrees and certificates were growing at a rate faster than STEM degrees and certificates. 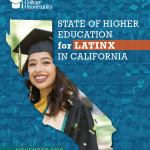 In California, increasing the number of Latinos in higher education and in STEM fields is also key, and yet Latinos (despite their growing numbers) are less likely to enroll and complete college. In fact, only 14% of Latinos over 25 years of age have a Bachelor of Arts Degree. Women are also critical for meeting STEM workforce needs. Women are earning more degrees than their male counterparts, but a smaller number of them are earning them in STEM fields. 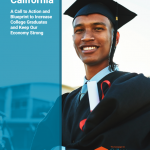 1) Urge the Governor and Legislature to articulate goals for higher education in California, including the number of college graduates we need in specific high-demand fields, like STEM and Health. 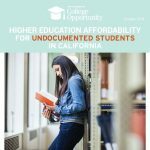 2) Ensure adequate funding for college access, so that all eligible students have a spot in college and can take the courses they need to meet their academic goals. 3) Promote reforms in higher education that focus on increasing student completion rates, closing ethnic gaps in completion, improve transitions between high school to college and community college to our four year universities. 4) Locally and statewide, our business and industry leaders must join us in reaching out to the Governor and Legislature about the need for budgets and policy reforms that support meeting our workforce needs. Locally in our communities, we must similarly reach out to college leaders, trustees, and faculty to move reforms forward successfully. The importance of meeting workforce needs is not simply a STEM or higher education imperative. Every single one of us who live and wish to grow old in California must work towards strengthening our state’s economic future. Producing the workforce we need is good for industry and good for Californians who need jobs that allow them to live the American Dream. Michele Siqueiros is the Executive Director of the Campaign for College Opportunity.